At a time when several MLAs including former minister have quit the Congress ahead of the Mizoram Assembly polls, over 200 activists of MNF and MPC parties have joined the Congress in Aizawl West II Constituency on Friday. 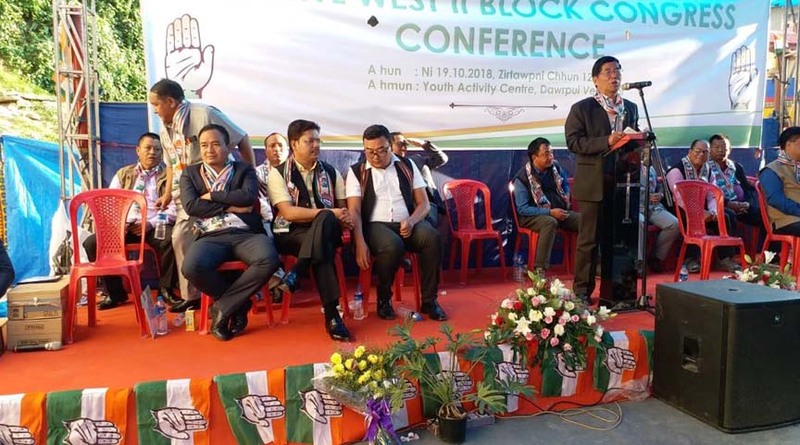 The joining ceremony was organised during a block level conference of the Congress workers in the Aizawl West II Constituency on Friday in presence of Bhupen Kumar Borah, secretary of the All India Congress Committee (AICC). The Congress, which has been in power for the last 10 years in Mizoram, has geared up preparations for the State Assembly elections scheduled to be held on November 28, 2018. It may be mentioned that ahead of the Assembly polls, a number of party MLAs including former Ministers Buddha Dhan Chakma and R Lalzirliana, who was also the party’s State vice president, have quit the Congress. Former Home Minister R Lalzirliana joined the opposition, Mizo National Front (MNF) in Aizawl on October 15, 2018. Along with Lalzirliana, former MLA Lalthanliana also joined the MNF. Lalzirliana after joining the MNF said that he had quit the Congress for a host of issues. On the other hand, the Congress on October 11, 2018, released the first list of party candidates for the Assembly polls which saw 12 new faces. However, candidates for four constituencies were not announced.